Four Ukrainian servicemen have been wounded and none killed in the antiterrorist operation (ATO) area in Donbas over the past 24 hours, the Defence Ministry's spokesman for ATO issues, Col Andriy Lysenko, said at a daily briefing on 10 October. 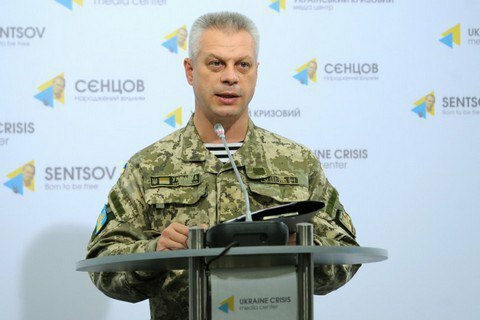 "Four our soldiers were wounded as a result of shelling," Lysenko said. In the meantime, the Back and Alive (Povernys Zhyvym) volunteer project said two Ukrainian soldiers were killed. "Two military were killed and two were injured in Luhansk Region as a result of shelling," the group said in a Facebook statement. Over the past day, the areas of Avdiyivka, Maryinka, Troyitske and Zaytseve, Donetsk Region have been reportedly shelled by Russia-backed militants.